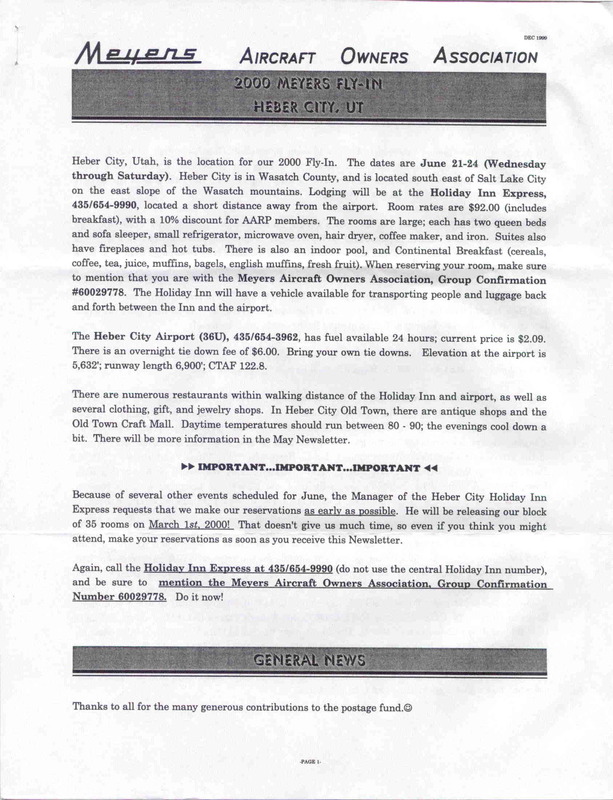 The following Newsletter is reprinted in its entirety. 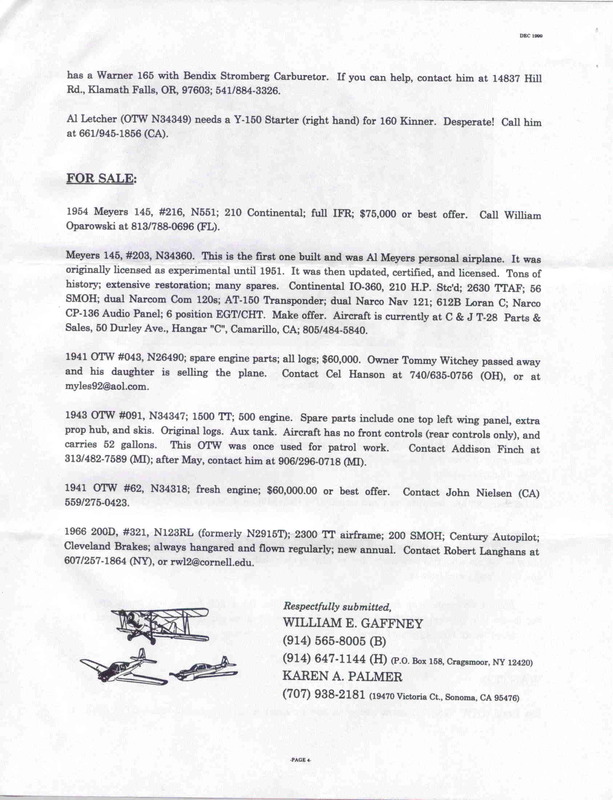 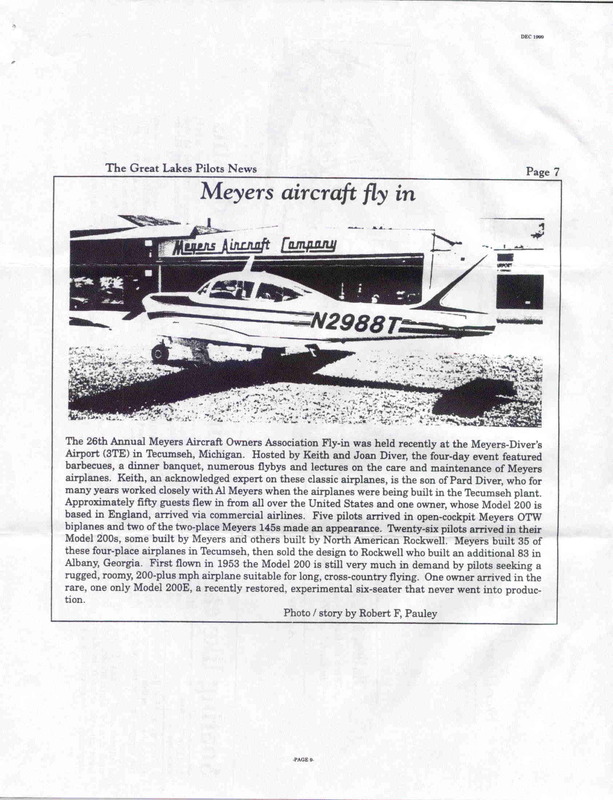 Meyers Aircraft Company makes no representations as to the accuracy or suitability of the information contained herein. 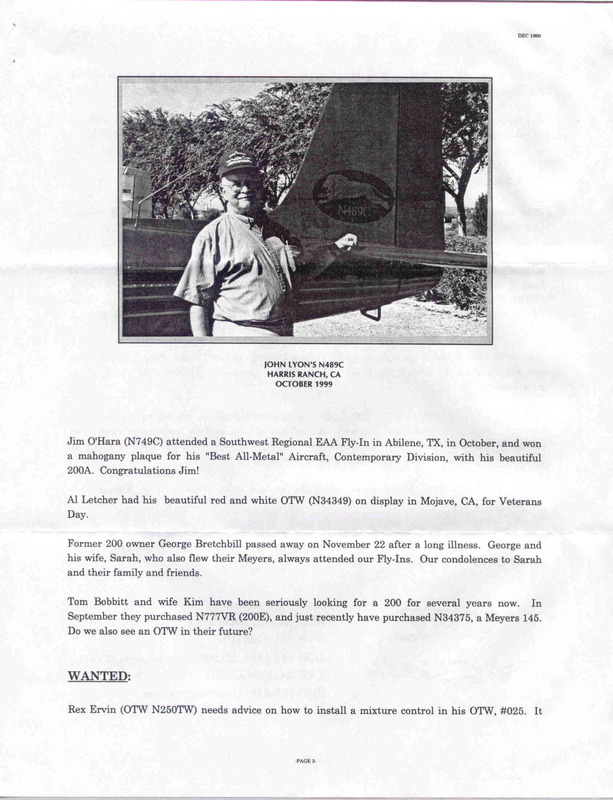 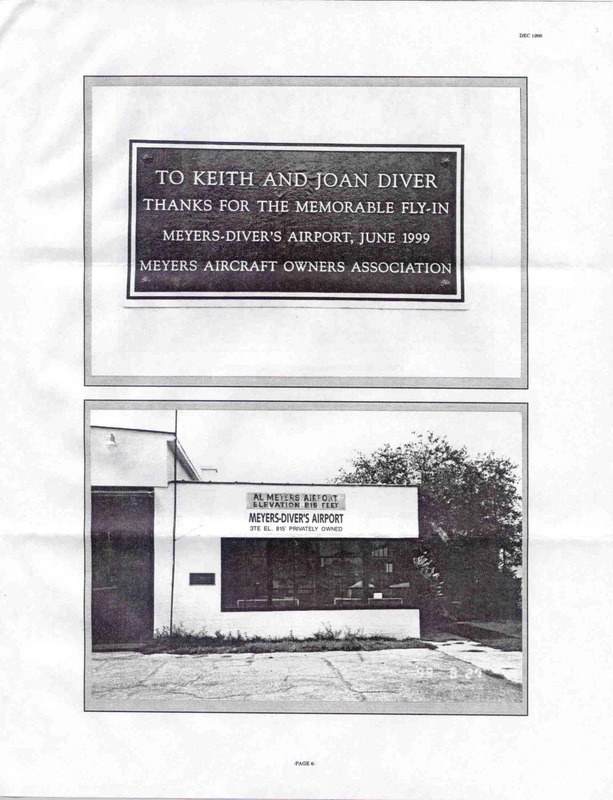 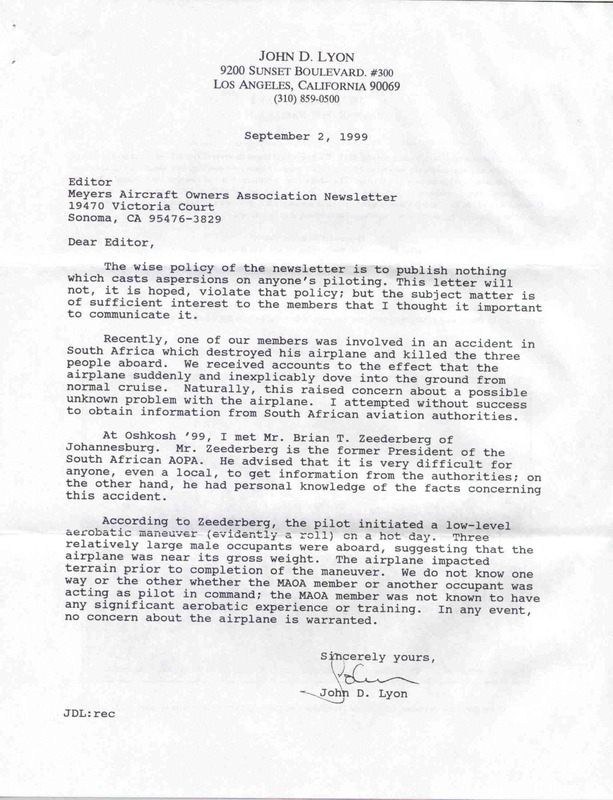 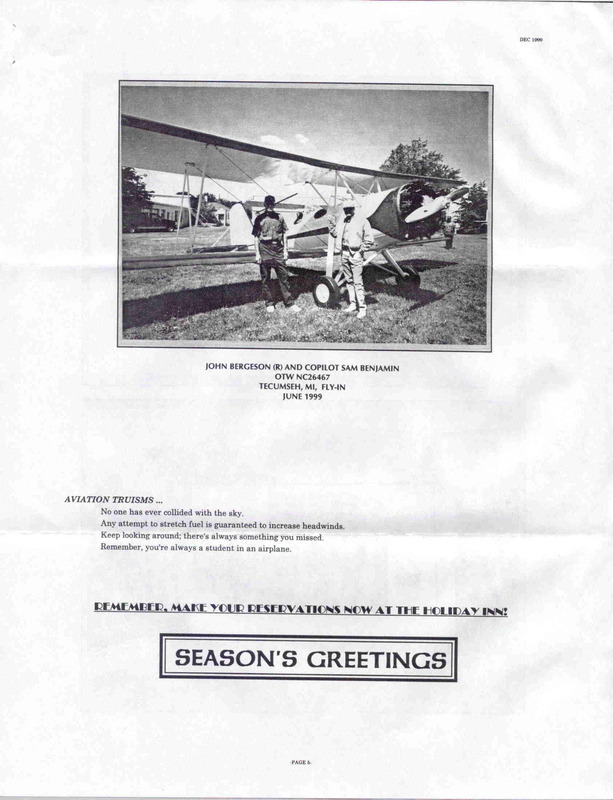 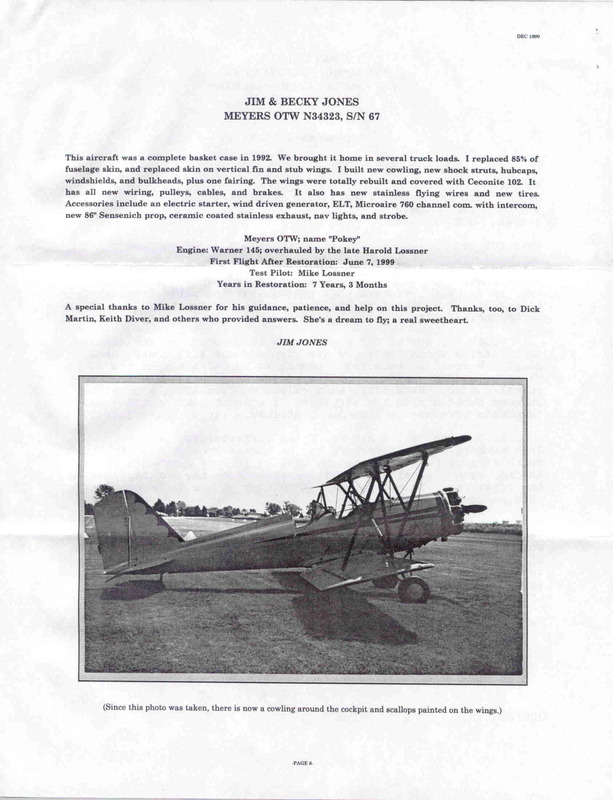 This is reprinted out of respect for the Owner's Association and their continuing efforts to improve the safety and efficiency of the Meyers 200D aircraft. 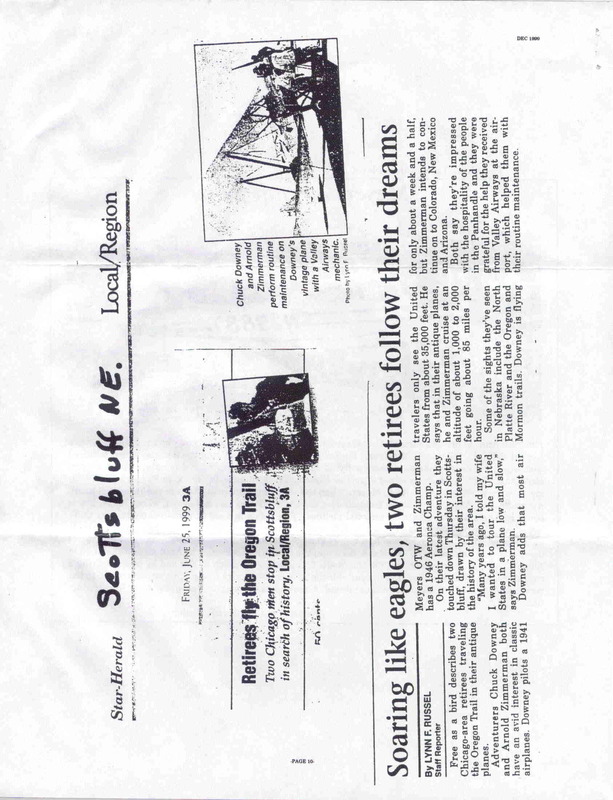 It was decided to scan the pages and keep them large for readability. 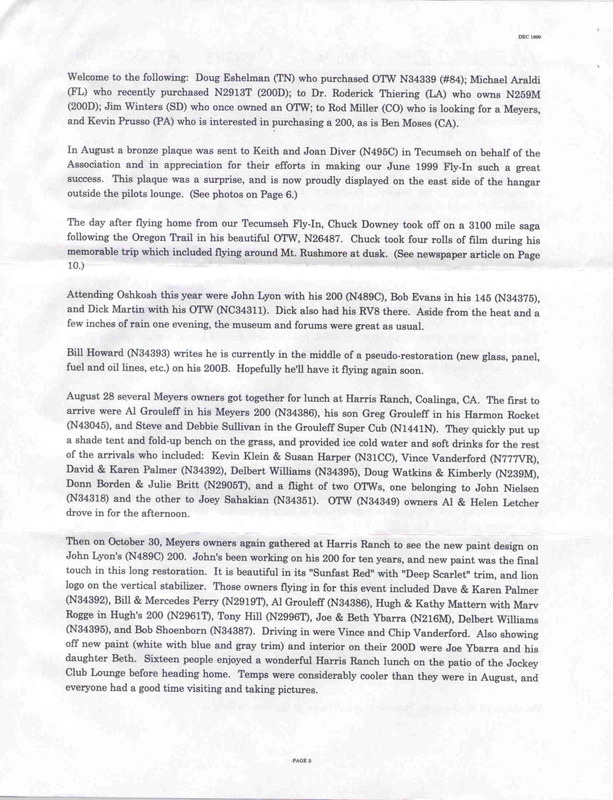 The following ten pages are about 1.87K in size so please be patient.